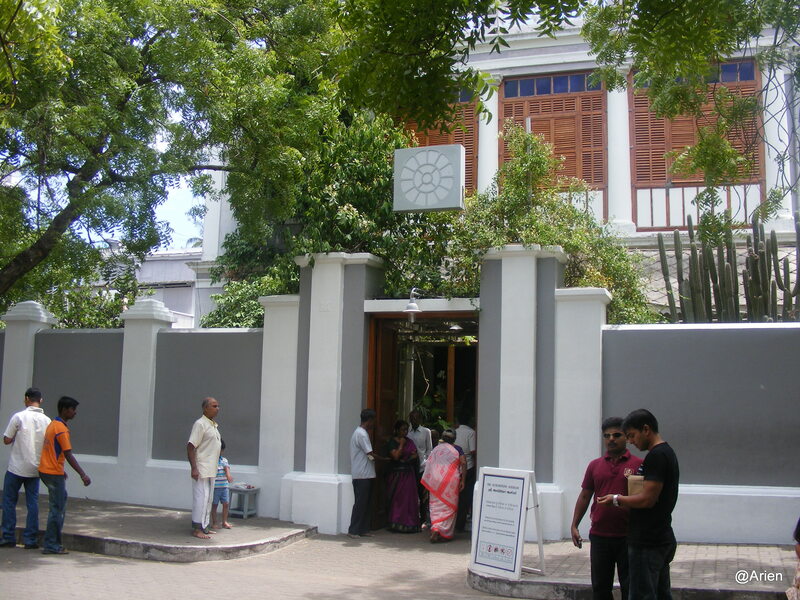 I cannot recall when I first visited the Aurobindo Ashram. I was aware that both my parents were staunch believers of the Mother and I vaguely recall having visited the Ashram to learn eye exercises. 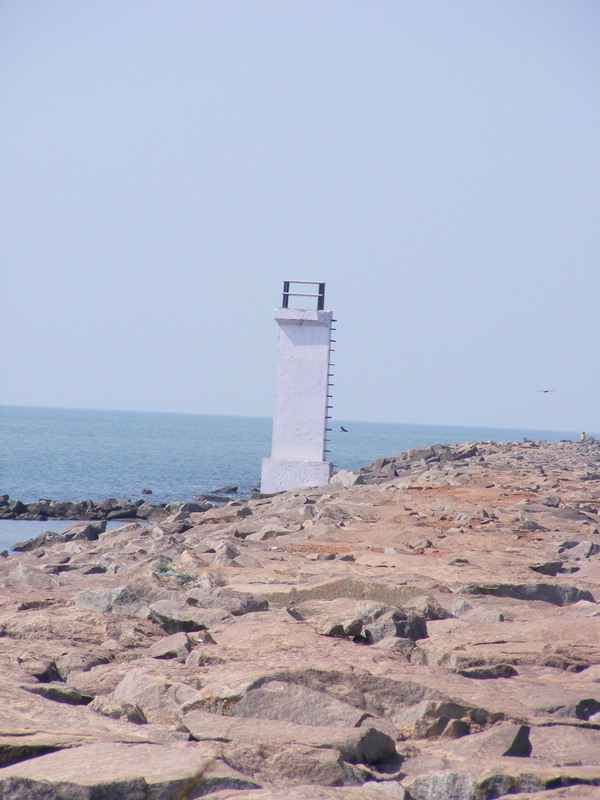 We used to visit Pondicherry at least once every year for a really loong time. This was my first trip where the objective was not to only visit the Ashram. 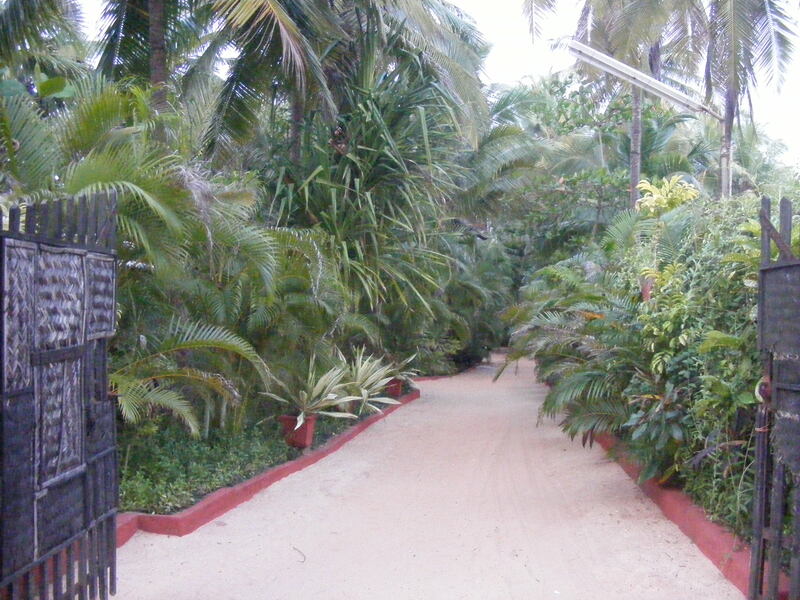 The Ashram is quite close to the beach road but it took us forever to find the place. When we managed to find the place, I found that it had not changed much and suddenly I had tears in my eyes. It was weird. I was probably feeling overwhelmed ’bout visiting one of the places of my childhood memories. Everything seemed exactly the same. The Ashram has the samadhis of The Mother and Sri Aurobindo. Cameras are not allowed inside the Ashram and so this is the only picture we could take of the Ashram. I did not want to spend too much time inside and so we left. As I mentioned earlier, all the streets have French names that are very difficult to pronounce. While there are sign boards all over the place, they are not really tourist-friendly. Of course, it is a small place and after doing multiple chakkars, you will be back right where you started. Also, remember ask natives of Pondicherry ’bout the place you want to visit because almost every third person you see on the road is a tourist. 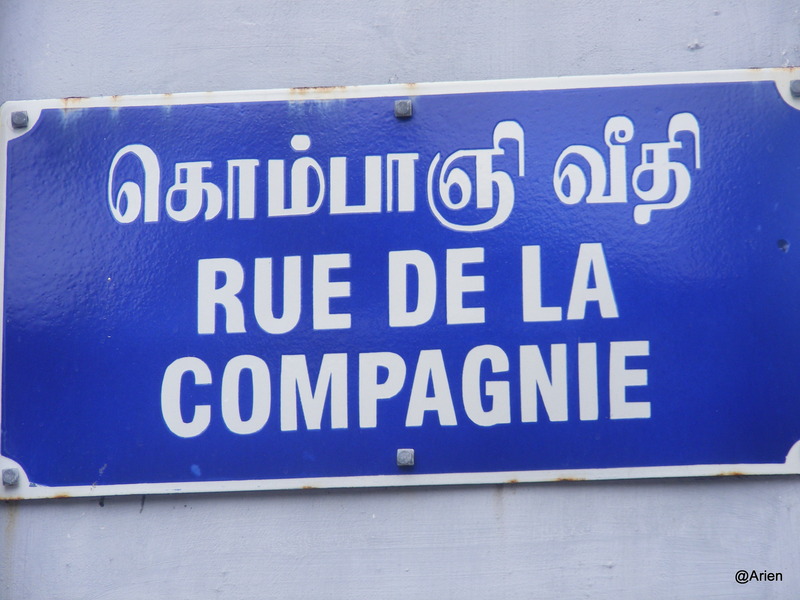 Of course, if you can speak Tamil, half your battle is already won. What a hectic day. We were very tired and headed back to the resort. We thought it may be a good idea to visit the beach attached to the resort. We changed and went out to the beach and spent exactly 5 minutes when the security guard told us to get back. According to him, some bad elements usually come out to the beach after 7 pm and they did not want any folks who stay at the resort to be embarrassed. Though shocked, we returned to our room. What an end to a nice day! After an amazingly hectic Day 3 – I was dying for a break – but today was the day we were going to Udipi and so let me not think ’bout the break. Today was also the day we realized that our budget for the trip was shot 😦 Everytime we ate at the restuarant – we compared the prices with our Bengaluru prices and smiled. However, eating out everyday can mess up ur budget and we found that out while writing the accounts for the last 3 days. 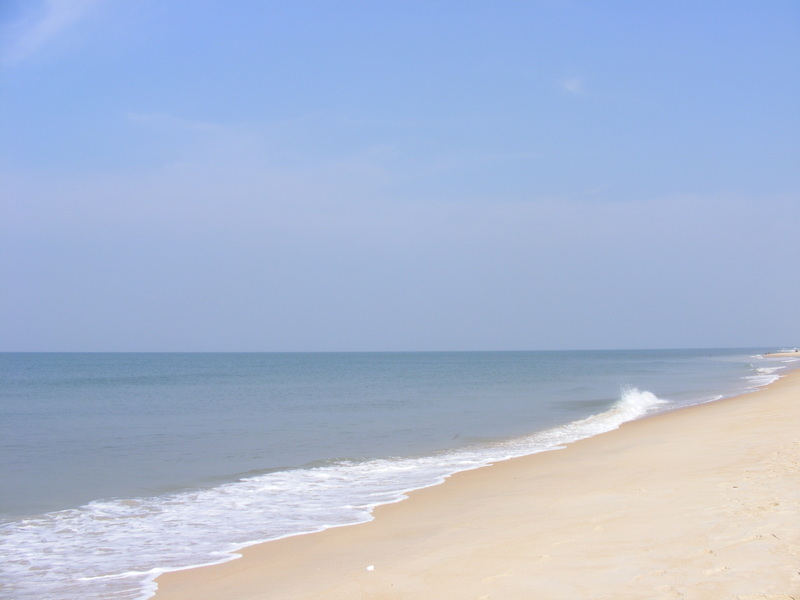 After having messed the Panamboor beach visit, I was eager to make amends by suggesting that we go there in the morning before we check out of the hotel and proceed to Udipi. The Arien was amazed, I can tell you – he had been sure I would say “Lets laze the morning away’ – Thats why I like to be unpredictable – it works everytime 😀 So we started for the Panamboor beach – I thought I knew the way but I was mistaken and the person whom we asked said that we were on the right track – though both of us felt otherwise. While I pointed this out, the Arien was more intent on reaching the beach and ’bout the loss of time and growled in response. As usual, it was pretty warm by the time we reached the beach. We walked around the beach enjoying the breeze, waves as we walked the length of the beach. We collected quite a few shells as we walked along the beach – I saw that some of these shells kinda disappeared into the sand after the wave went back – we also saw a dead star fish – it was black on one side. As it started getting sunnier, I suggested moving back to the Hotel, checking out and get started on the journey to Udipi – which was readily agreed to by the Arien – I guess the sun killed his enthu. Well, for now, we were absolutely thrilled 🙂 The beach was 5 mts away and looked awesome. Of course, the first thing I noticed was that it was a coconut grove and not palm as specified – well, that kinda bugged me – anyways- we spoke to the person-in-charge and went to check out the room. We had the beeegest shock. It could have been a HomeStay – def not a resort. Anyways, the Arien was terribly cheesed off – not that I was happy but whats the point in getting upset – either we decide to move out or we stay and if we are staying – it is better to find sm reason to b happy. I am not usually like this … So it was a welcome change. 😀 Anyways, the beach was 5 mts away and so we need not get so bugged ’bout the staying arrangements – was wht I decided. Mangalore – Day3 – Contd. The first stop was at the Aloysius Chapel. This was quite close to the Periera’s Hotel and it brought an angry frown to the Arien’s face and I burst out laughing. I really wish I had a snap of that place. The Aloysius chapel was an amazing piece of art. The paintings or rather frescoes were xtremely lovely and as we tried to take a picture – someone shooed us away and asked us not to take any snaps. We managed to take a few snaps. 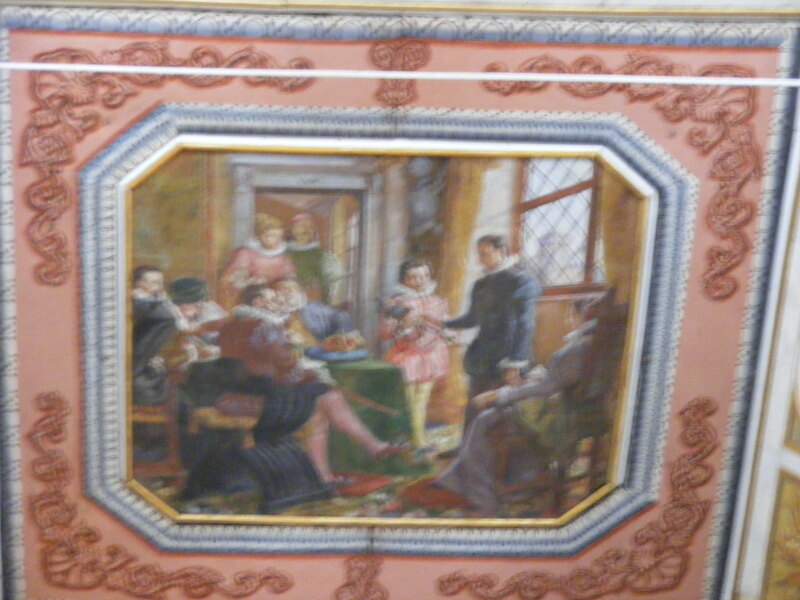 This is a close-up of one of the various paintings on the ceiling. I could not figure out what this place would be like from the name. It felt like we were driving forever – I was worried we were lost yet again but thankfully we were not. When we reached, we were in for another shock – it was like a stone structure that had no meaning. It had been used by the sultan to protect and watch his land from intruders. This is a picture of the space where the soldiers could place two guns and shoot at intruders. Otherwise, honestly, there was really nothing to see. Plus, we reached at 1 and it was really hot. We saw a young couple – looking very much in lowe – heading towards the boat and thought why not… there was a ferry that would take us to a beach on the other side for Rs.3 each. I thought the amount was hilarious and so we paid Rs.12 for a round-trip for both of us. had to visit the NisargaDhaama. On our way back, there was a chuntu church and we saw these cute puppies sleeping – they looked so cute inspite of the heat. They were ready to follow us and we did not have any snax with us – plus we were going to turn cranky b’cos of the heat, no food (lunch-time had come and gone), no water either. We sat down under a makeshift hut and waited for the ferry to return and pick us up. I was totally down and out and we still had the Nisargadhaama to visit. Surprise of surprises – I woke up early (7:30 -Ahem!!). To make up for yesterday’s flop show I came up with a soooper plan of visiting a beach in the morning and most of the other sightseeing spots after 11. Sulky Arien was still not convinced that I would implement the plan…. anyways thats how Day 3 started. The first visit for the day was to the Ullal beach that had been re-christened Someshwar beach. Did I tell you that there was almost nobody else at the beach? Well, I guess if you live next to a beach – it loses some of its charm and ppl don’t flock to it. Of course, that makes it great for us but I was pretty surprised all the same. Thats a picture of our footprints on the sand. As you can see we were the only ones on the beach. The beach was clean and did not have plastic and a lot of all the stuff you usually have come to expect on a beach. If you have been to the Marina beach, in Chennai, in the evening – you are likely to find zillion ppl on the beach jostling to find a spot near the best spot (which does not exist), stalls selling Chilli bhajjis, fish fries, Bhel puri, etc. etc. etc and a lot of yelling and screaming. Panamboor was kinda like that but the stalls were not on the beach. Well, I haven’t been to the Marina beach in some time and so maybe things have changed… Maybe. Anyways, back to the Ullal-alias-Someshwar beach… as we walked, we saw a fisherman throwing his net to catch some fishes. The waves were quite high here and atop another hillock we saw a man meditating. While we were distracted by the fisherman’s catch, the meditating man left and we found that it was getting pretty warm. I proposed moving back to the hotel as we had a full day ahead and we were already wet to the knees 🙂 We went back to the hotel to have a quick shower and breakfast and then move to the other tourist spots of Mangalore. The plan was to go to the Sultan Batherri and Nisarga Dhaama – I was reminded of the trip to Mysore’s Nisarga Dhaama. Hmmm… I hoped that it was a good place to visit.